So there’s this hurricane coming to town today. Sandy. We should be losing power any minute, we’ve got bottled water and food supplies coming out our ears, school is closed today and tomorrow. Halloween has basically been canceled for Wednesday. And we have lots of buckets in case we need to take over for the sump pump. Apparently we didn’t learn fast enough from Irene to get ourselves a generator, but we’re actually hoping to install a real permanent one in the not-terribly-distant future. But that’s quite a job, so in the meantime we’ll just have to survive. I’m doing that by catching up on some blog posts while we still have power, and I’ve got more things to post about the apples we picked this year. 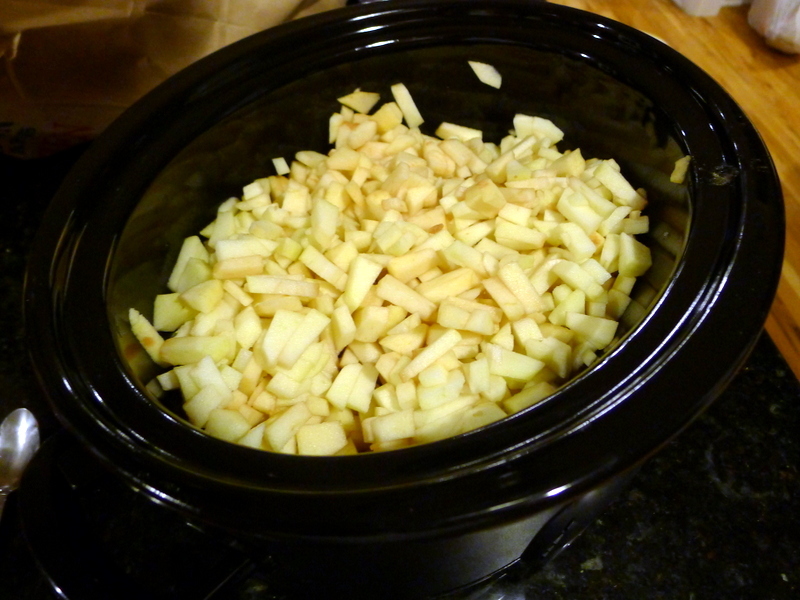 In addition to the amazing tarte tatin I also made some homemade apple butter in my slow cooker. 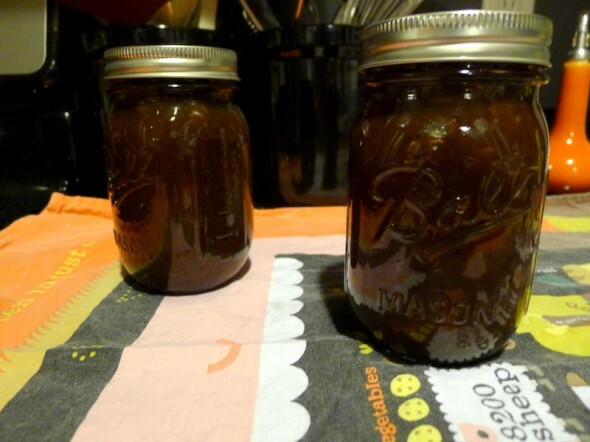 And it is like Jackie crack–it tastes like pure fall, like a spreadable version of the tarte tatin, actually. I spent hours researching recipes, and I came up with a plan that worked for me based mostly on this recipe, this one, and this one. 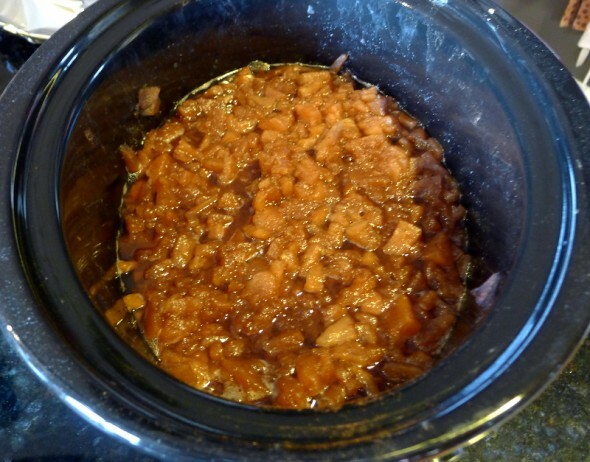 This basically cooked for 2 days in the slow cooker, it made the house smell amazing. I used 12 Rome and Stayman apples (the only 2 kinds available the day we went picking) and got two 12 ounce jars of butter. I mean, I cooked this down into pure essence of apple. And it’s so stinking easy. Peel, core, and chop all the apples into small pieces. Put them in your slow cooker. Toss the apples with all of the remaining ingredients. See all that liquid? Now that the apples are brown and soft, we need to get rid of that liquid. First use an immersion blender or potato masher to puree the butter until smooth. Then cook on high for 2 hours with the lid partially uncovered to let the steam out. Now, I was going out with Laura Ann for the day at this point, and I knew it needed to cook longer but also knew Adam had a whole day to himself planned. So I put it back on low for 8 more hours while I was out, with the lid back on. When I came home, it was glorious and molasses colored, and to me that was perfect. 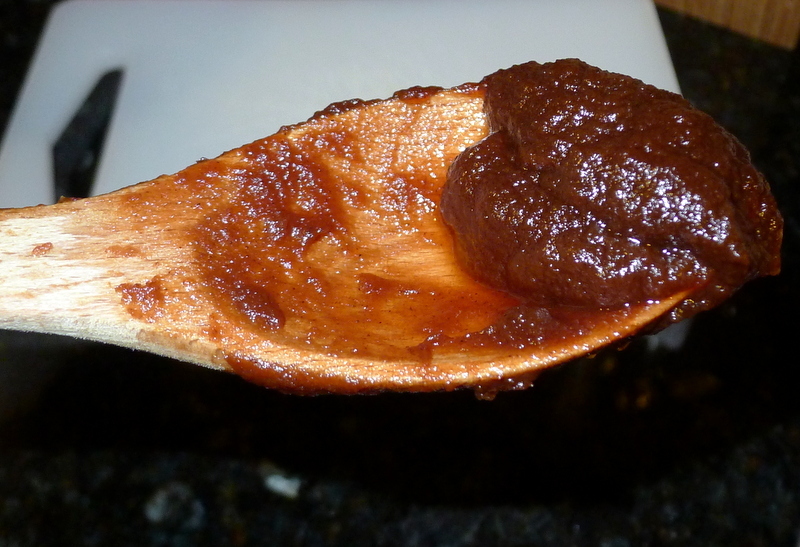 I like it thick, and this is still really velvety and spreadable–not overly thick. So then that night I processed it into 2 jars the same way I process everything else. 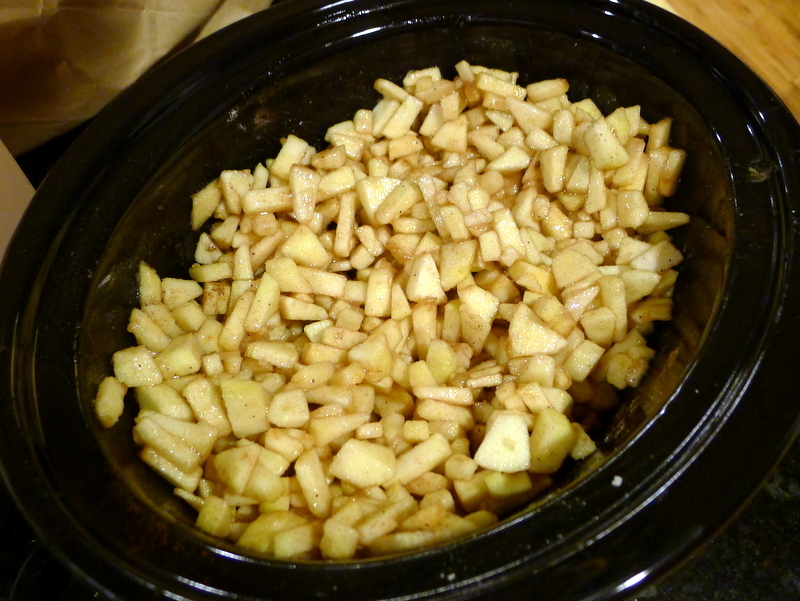 It was a long weekend of cooking the apples down, but it was so worth it. The stuff is amazing, and next year I will be going after a bushel of “windfalls” (I’m learning the lingo now). Or, I’ll just get some from Whole Foods and make more over Thanksgiving weekend or something. Hey Hope all is going okay. Thinking about you and the family. Good luck with the wicked storm.